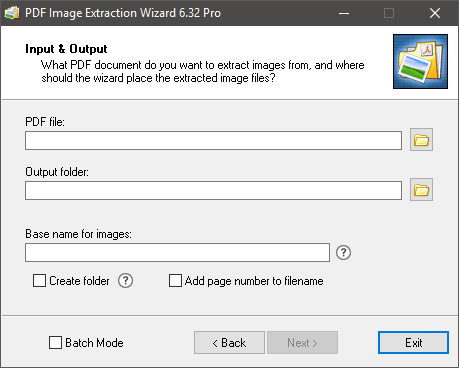 With PDF Wiz you can extract bitmap images embedded in PDF documents and save them as individual image files. You can choose to extract all pictures in a single click, or limit to specific pdf pages and/or image sizes. Images are ripped straight from the PDF document without recompression. This means that extracted images will have the maximum possible quality, only limited by the document's original quality settings! Render pages to picture sequance, complete with text, bitmaps and vector images. Render options includes page rotation, paper background transparency, grayscale rendering, invert colors, gamma correction, anti-aliasing strength, setting size in DPI or specific width and height. Size: 5,02 / 7,02 MB.